The Amazon Kindle Fire Tablet will ship during the second week of November and will be introduced by Amazon CEO Jeff Bezos later today. With the Amazon Fire you get a 7 inch device that is similar to the BlackBerry PlayBook. It is no wonder that they look alike since Quanta built both of them. Amazon’s plan is to introduce the device just in time for the holiday season. 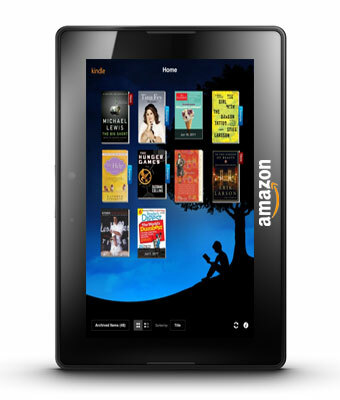 Kindle Fire offers better software than Playbook and better content. Additionally Amazon included its own version of Android and exclusive Android Appstore. Amazon will also offer you MP3 services and access to its bookstore. Not to mention getting access to TV shows with streaming video service. Finally you will get a lot of great hardware at a low price. First you get a TI dual core OMAP chipset with 1.2GHz.